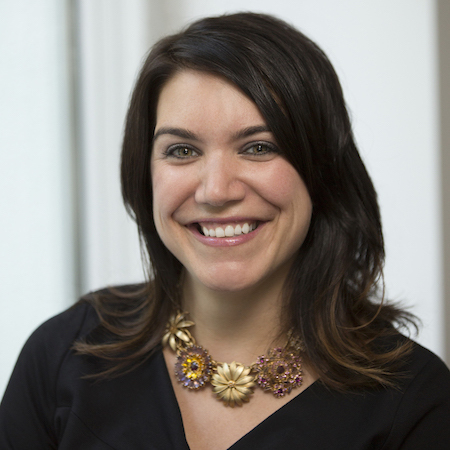 WASHINGTON, D.C. – Civitas Public Affairs Group announced today that Denise Feriozzi, one of the country’s leading campaign strategists with an expansive network of relationships with political leaders and elected officials across America, is joining the firm as a principal. She will be based in Civitas’ Washington, D.C. office. “Denise Feriozzi is a first rate, deeply respected political operative. Her experience, work ethic, and values make her a great fit for our stellar team,” said Bill Smith and Patrick Guerriero, the founding partners of Civitas. Most recently, Denise served as the deputy executive director of EMILY’s List, the nation’s largest resource for women in politics. In her tenure, she helped to expand the WOMEN VOTE! program into one of the largest progressive super PACs in the country, growing the budget by over $30 million. As deputy executive director, she led efforts to research, persuade, and mobilize women voters, including a groundbreaking effort in the 2016 elections to reach millennial women voters with new digital tools and tactics. “I’ve had the pleasure of seeing Civitas’ work up close when they partnered with EMILY’s List to help make history by electing Tammy Baldwin as the first openly gay person to the Senate. They are smart, strategic, know how to win, and care deeply about the work that they do. I couldn’t be more thrilled to join this amazing team to help organizations and campaigns make progress and win on issues that will move our country forward,” said Feriozzi. Denise has an extensive background in grassroots campaigns, having also previously served as the political director at EMILY’s List. She led efforts to recruit, train, and elect hundreds of pro-choice Democratic women at the state and local levels to build the pipeline of women candidates up and down the ballot. And prior to that, as the WOMEN VOTE! director, she led an historic coalition of LGBT, women’s, labor, and other progressive groups to run a strategic independent expenditure effort to elect U.S. Senator Tammy Baldwin (D-WI). “Denise Feriozzi is an outstanding leader and advocate with extraordinary talent and experience. EMILY’s List has grown in size, power, and influence during her time with the organization, thanks in no small part to her political savvy and tireless work,” said EMILY’s List President Stephanie Schriock. Denise has held leadership roles in campaigns for organizations and candidates all over the country, including Hillary Clinton’s first presidential campaign, the Democratic Governors Association, Communities for Quality Education, and Americans United to Protect Social Security. Denise serves on the Board of Directors of Priorities USA Action and America Votes. She was named one of the 25 Most Influential Women under 35 by National Journal and as a member of Marie Claire’s New Guard, the nation’s ‘Most Connected Women.’ A graduate of the College of William and Mary in Virginia and a proud native of the great state of New Jersey, Denise lives with her husband Zach and son Max on Capitol Hill in Washington, D.C.
Civitas Public Affairs Group delivers winning advocacy and public affairs campaigns to its clients and the people they serve. The firm enlists experts, leverages relationships, and builds coalitions to address some of the most pressing political and societal challenges of our day. Visit our website to learn more.